Wi-Fi (802.11a/b/g), RFID Reader, UHF, Windows Mobile 6.5, 2D Imager Scanner, 256MB/1GB, 48 key Keypad, Bluetooth, 4800 mAh High Capacity Battery. Interface cables and charging cradle sold separately. Wi-Fi (802.11a/b/g), RFID Reader, UHF, Windows Mobile 6.5, 1D Laser Scanner, 256MB/1GB, 48 key Keypad, Bluetooth, 4800 mAh High Capacity Battery. Interface cables and charging cradle sold separately. 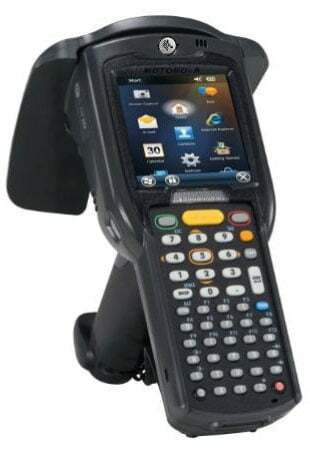 Wi-Fi (802.11a/b/g), RFID Reader, UHF, Windows Mobile 6.5, 2D Imager Scanner, 256MB/1GB, 48 key Keypad, Bluetooth, 4800 mAh High Capacity Battery, TAA compliant. Interface cables and charging cradle sold separately. Wi-Fi (802.11a/b/g), Bluetooth, RFID Reading, 1D Laser, QVGA Display, 256MB RAM/1GB Flash, 48 key Alphanumeric. For use in the EU ONLY. 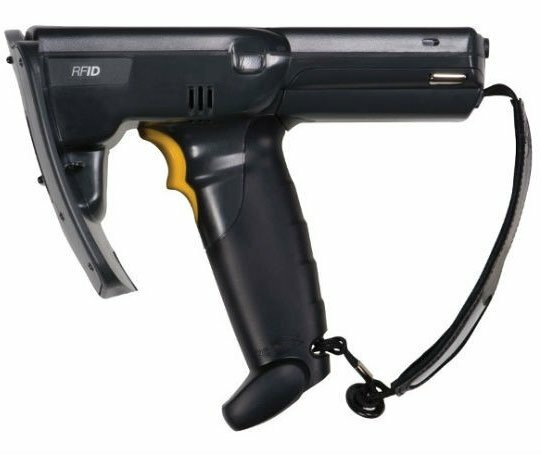 Wi-Fi (802.11a/b/g), RFID Reader, UHF, Windows Mobile 6.5, 2D Imager Scanner, 256MB/1GB, 48 key Keypad, Bluetooth, 4800 mAh High Capacity Battery, European Version Only. Interface cables and charging cradle sold separately.